It’s pretty hard to believe that Citizenship Minister Jason Kenney would tell the daughter of a Canadian war veteran in Vancouver that her father, who was born in Canada and had never set foot out of the country until it asked him to go to war, was not, in fact, a Canadian citizen but a British subject. Insulting, degrading ... and wrong. Some eight years ago when Jackie Scott was denied a Canadian passport, she was told she was not Canadian — despite working here, paying taxes, voting, having children and grandchildren who are Canadian. She was born out of wedlock in Britain to a Canadian soldier and a British mother, who married after Jackie’s birth and came to Canada. Jackie never had doubts that she was a citizen, until CIC told her she wasn’t. 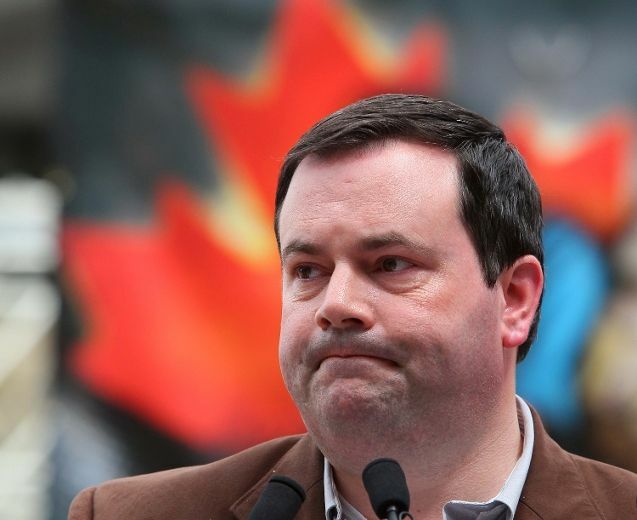 Jason Kenney elaborated that none of the Canadian soldiers killed in First and Second World Wars — more than 100,000 killed in Canada’s name, including 3,598 at Vimy Ridge — were citizens. They were British subjects. Why, in the name of sanity, is Prime Minister Stephen Harper letting such nonsense be disseminated by his government? He’s got to know it is wrong, yet he tolerates abuse to the memories of Canadians killed in war — as symbolized by the continuing meanness to Jackie Scott and hundreds like her who think they are Canadian but are ensnared in bureaucratic red tape that denies them citizenship. While feeling hurt and abandoned, Jackie Scott is more outraged that her father is being discredited. We should all feel indignant. A couple of months ago I confronted Jason Kenney with Jackie Scott’s case, and he implied that it, and others like it, would be resolved in the near future. One wonders. What is inexplicable is how he and CIC apparatchiks have the nerve to say there was no such thing as a Canadian citizen before 1947 — a curious magic date. Under the British North America Act in 1867, Canada became a separate country, and citizenship was determined by the father, including “married women, minors, lunatics and idiots.” Children born in wedlock were considered property (and nationality) of the father; out of wedlock, property of the mother. That was then, this is now. Like Second World War veteran Guy Valliere who died a stateless “Lost Canadian” because CIC never got around to his case, Jackie Scott fears that at age 66 she’ll be dead before she’s confirmed a genuine Canadian like the rest of her family. I rather like Jason Kenney, but refusing to recognize Canadian citizenship prior to 1947 reveals an unforgivable flaw. For God’s sake, do the right thing for a change.